Everyone loves a carol--in the end, even Ebenezer Scrooge. They have the power to summon up a special kind of mid-winter mood, like the aroma of gingerbread or the twinkle of lights on a tree. It's a kind of magic. But how did they get that magic? 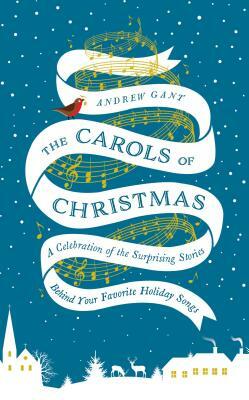 Andrew Gant--choirmaster, church musician, university professor, and writer--tells the story of some twenty carols, each accompanied by lyrics and music, unraveling a captivating, and often surprising, tale of great musicians and thinkers, saints and pagans, shepherd boys and choirboys. Readers get to delve into the history of such favorites as "Good King Wenceslas," "Away in a Manger," and "O, Tannenbaum," discovering along the way how "Hark, the Herald Angels Sing" came to replace "Hark, how all the welkin' ring" and how Ralph Vaughan Williams applied the tune of an English folk song about a dead ox to a poem by a nineteenth century American pilgrim to make "O Little Town of Bethlehem."